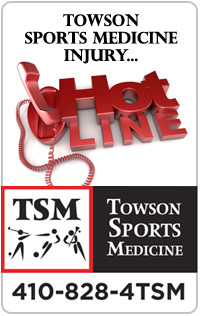 Towson Orthopaedic Associates and Towson Sports Medicine offer comprehensive concussion management for school-age children and adolescents. The program is for sports and non-sports related injuries. 1. We offer baseline neurocognitive assessment tool through ImPACT (Immediate Post-Concussion Assessment and Cognitive Testing). Call 410-828-4TSM (4876) for more information or to set up a testing time. 3. A rehabilitation program is available for patients having difficulty returning to activity. When necessary, a referral will be made to one of our physical therapists. 4. The Towson Sports Medicine experts can provide educational lectures to teams, schools and organizations who want further information on concussions. » Click for our Concussion Management Brochure! A mild TBI or concussion is a disruption in the function of the brain as a result of a direct or indirect forceful blow to the head. This disturbance of brain function is typically not detected with a CT scan or MRI, but can result in physical, cognitive emotional and/or sleep-related symptoms. 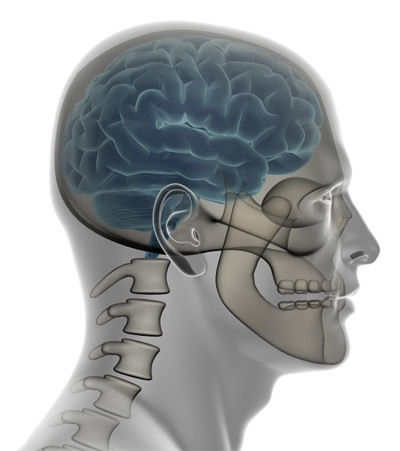 Concussions often do not involve a loss of consciousness. Duration of symptoms is highly variable and may last from several minutes to days, weeks, months, or even longer in some cases. A comprehensive evaluation is important to assess symptoms and determine the nature and severity of any cognitive impairment. This assessment can then be used to develop an appropriate individualized treatment plan. It will also be an important tool in deciding when the child is ready to return to normal activities including school, social activities and sports. The player should not be allowed to return to play in the same game or practice. The player should not be left alone; and regular monitoring for worsening of symptoms is essential over the initial 24 hours following injury. The player should be evaluated by a health care professional trained in the management of concussion prior to return to activity. Academic supports and a reduction of cognitive activities along with physical activities, is critical to facilitate recovery. Return to play must follow a supervised stepwise progression. Due to the direct effects of a concussion on the brain, individuals with this injury are at greater risk for problems with school performance, social functioning and mood disorders. Recovery can be unnecessarily prolonged if a child is not evaluated appropriately, or have an individualized recovery plan put in place. If an individual returns to sports or other contact sports before full recovery, the consequences can be catastrophic. Second impact syndrome is a rare but potentially fatal condition where an individual suffers a second concussion before a previous injury has healed. ImPACT test is immediate post-concussion assessment and cognitive testing. Call 410-828-4TSM (4876) for more information or to set up a testing time.